This was my outfit when me and my friends had fashion show for Palm Award in Plaza Senayan about a month ago. I was wearing blue peplum top with latex legging and CnK Bag and June and Julia shoes again. I'm sorry but i love to wear the same things again if i love it. I love the peplum top with the combination in electric blue and soft transparent black tulle and i like to wear it without tank top although i wore tank top in the pictures (haha -.-") yeahh because of the top was too big for me and not fit me well . Would u like to follow each other also on bloglovin and gfc? wow you look amazing in that dress! i love your bag !! Love the top!! You look so edgy! un vestido precioso! me encanta tu blog! Love your top & shoes! It feels good to know that we went to the same church haha ;) following you now! Wish you have Great Holidays and Happy New Year 2013 ! Oooh my, this top is truly amazing, it suits you perfectly! ah this blog is so pretty, just like u! Great color and Great cutting ! loving this look on you! such an amazing outfit... love it so much, the color is perfect on you! anyway, thank you for your comment over my blog, I followed your blog, hope you can follow back, too! Happy new year and all the besr for 2013!!! Such a cute outfit! I hope you're having a wonderful new year! I love this outfit! Such a cute blog! I will definitely be following! Lovely! I hyped! I really love the styling and the outfit! Gorgeous! So, I'm in love with the way you dressed! anyway, join my giveaway ! Wow, this is such a cool look!! really love the color..you look great! i like your hair :) and nice top!! just followed you dear,can we follow each other ? These photos are amazing. Love that quilted bag! thanks for your comment on my blog.. 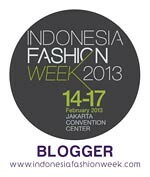 Fashion Designer and Fashion Blogger based in Indonesia. A Journey of my life to fulfill my dreams. All the images belongs to me (unless otherwise stated). If you want to use the pictures on my blog please inform me via email or linking back to this blog. It is forbidden to use the pictures for commercial reasons. Design by Marcella Merlyn Widjaja © Voguemarcelino. Diberdayakan oleh Blogger.